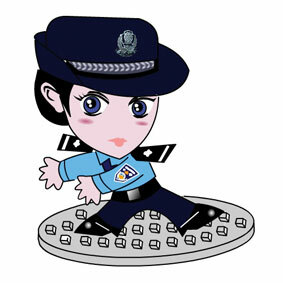 Shenzhen police plan to equip all Shenzhen Websites and electronic bulletin board systems with two virtual policemen icons on the main pages to maintain order in cyber space. 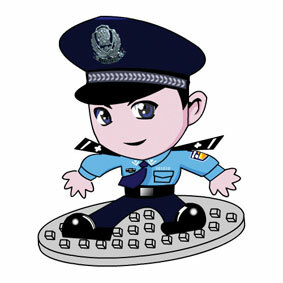 People may click the two cartoon policemen to enter the cyber space (http://66110.qzone.qq.com, http://777110.qzone.qq.com ) of two virtual cops and ask questions about information safety. Real policemen will answer their questions immediately. Internet users may also learn information about the Internet laws and regulations and some typical Internet criminal cases from these two virtual policemen. "The two dummy policemen were made to remind Netizens the Internet is protected by the law. People should pay attention to their behavior when they are surfing on the Net," a senior official of the Shenzhen cyber police told China Youth Daily.